The living will directs the withholding or withdrawal of medical treatment that merely prolongs dying when you suffer from an incurable or irreversible mental or physical condition or conversely, it directs the use of all possible measures to sustain your life. Copyright © 2009–2015 Michael D. Weinraub, P.C. 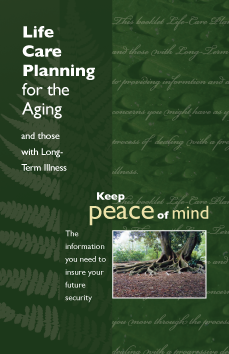 To download our free ebook — Life Care Planning for The Aging — just subscribe to our newsletter. All we need is your name and email address. For those who find this section intelligible, please leave the following 2 fields undisturbed, as they are used to distinguish the sentient from the non. To download our free audio seminars just subscribe to our newsletter. All we need is your name and email address.